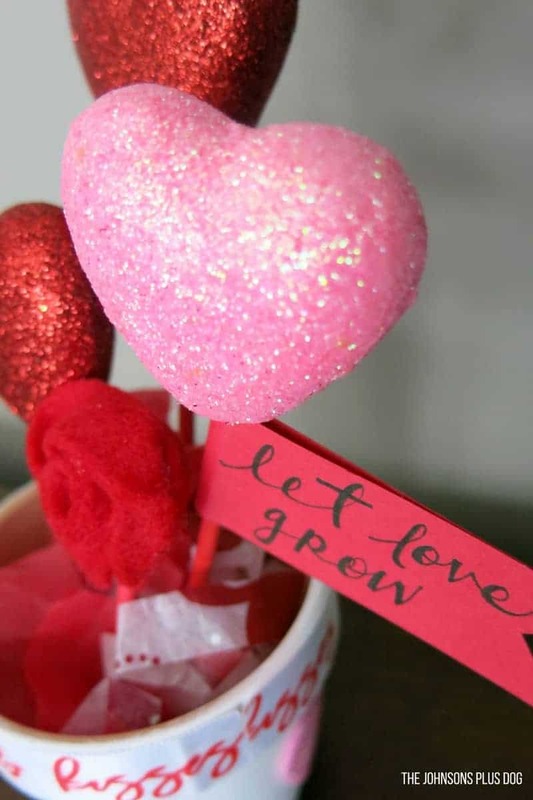 If you’re looking for a cute and simple gift for teachers, coaches and babysitters for Valentine’s Day – this DIY Valentine’s Day Dollar Store Craft has you covered. Isn’t this little pot of hearts adorable? 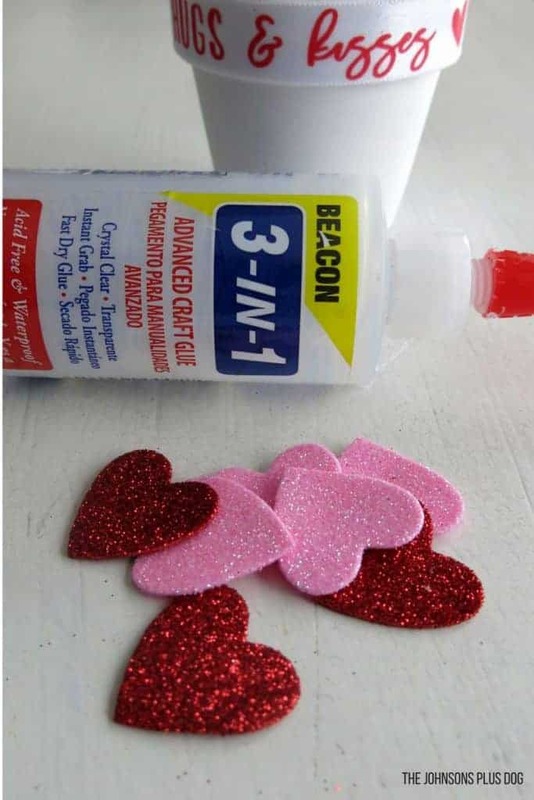 The best part is that the kids can make this Valentine’s Day craft! I don’t know about you guys, but every time I walk into Dollar Tree, it’s like gravity just pulls me over to the right side of the store where all the fun seasonal products are displayed. I can’t help but wander down the aisles and look at all the fun things just waiting to be turned into dollar store crafts. 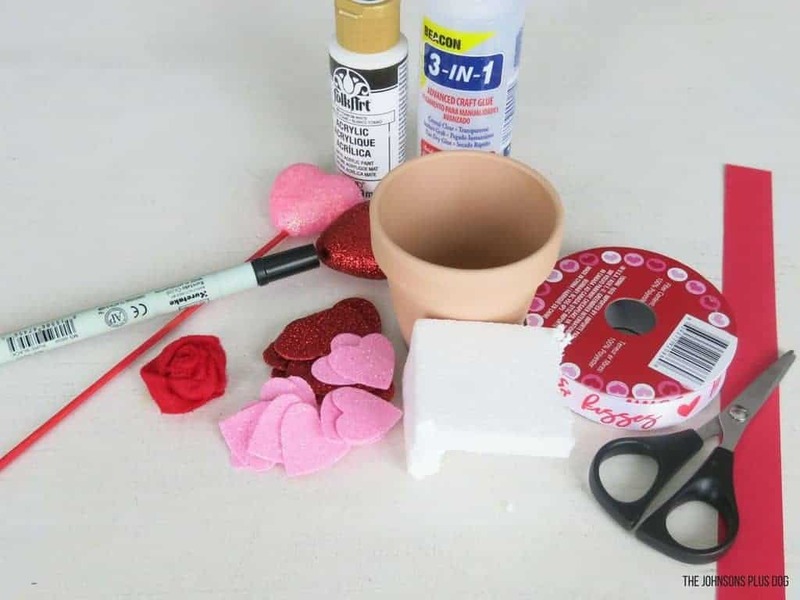 Their Valentine’s Day product this year are so cute, I actually ended up finding supplies for a couple of different projects! 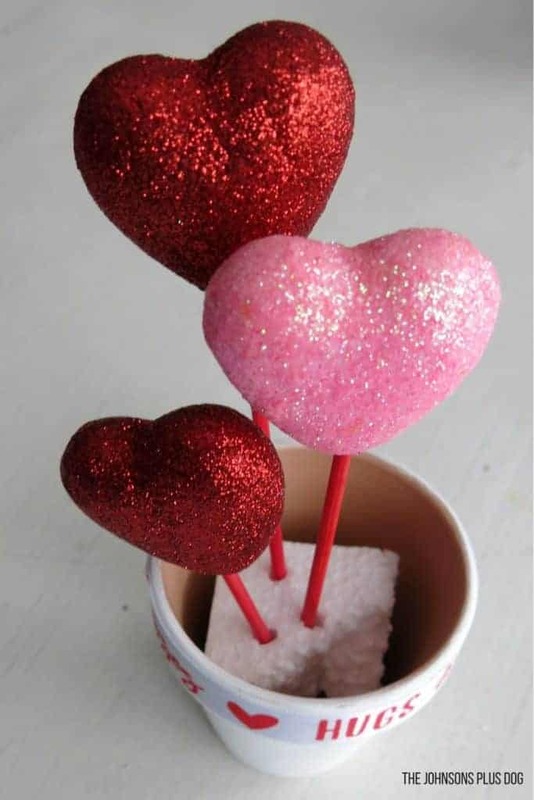 I can’t wait to show you this cute DIY Valentine’s Day dollar store craft. 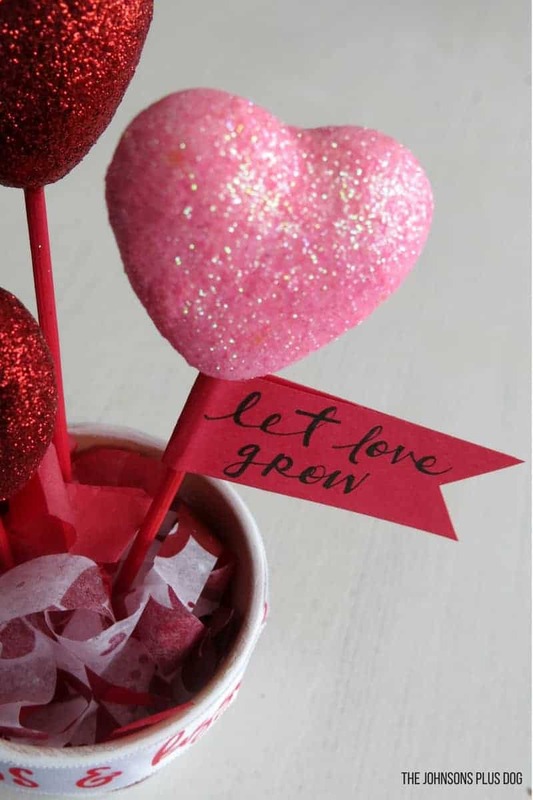 Update: Here’s the Hometalk LIVE video with all of my Valentine’s Day craft ideas. This post is brought to you by Dollar Tree and uses affiliate links, but nothing that I wouldn’t wholeheartedly recommend anyway! Read my full disclosure here. Step 1. Paint pots white. 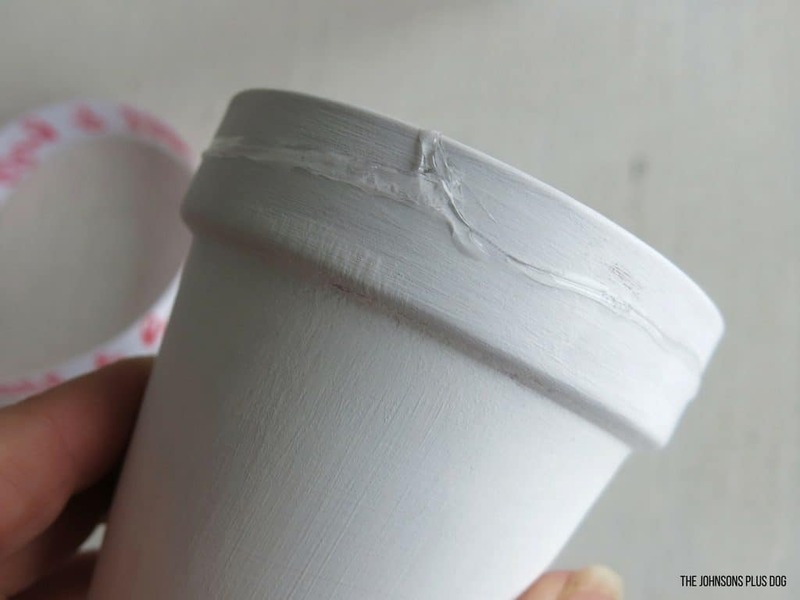 Paint mini terra cotta pot with white acrylic paint. 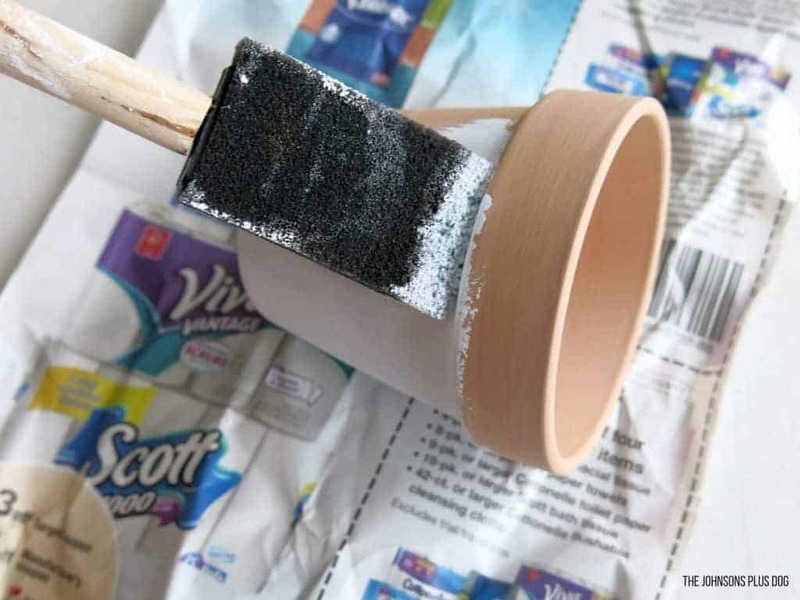 I used a simple foam paint brush and it only needed one coat. Next, you will attach the festive ribbon to the top of the terra cotta pot. I used my “never-fails” 3-in-1 craft glue. Step 3. Add in heart picks. To add the heart picks, I just broke off a corner from some styrofoam packing supplies I had. I used three Dollar Tree heart picks and differing heights. I just broke the wood sticks to the height I wanted and stuck them into the styrofoam. Although, it’s not shown in the picture here, I added in a 4th pick with a DIY felt rosette attached because I felt like it needed something more. If you interested in how to make a felt rosette, check out this post with a full tutorial and video! Step 4. Decorate your pot. I glued on some glitter heart confetti to the outside of the pot. I used my 3-in-1 glue here again. I used strips of tissue paper to cover styrofoam. 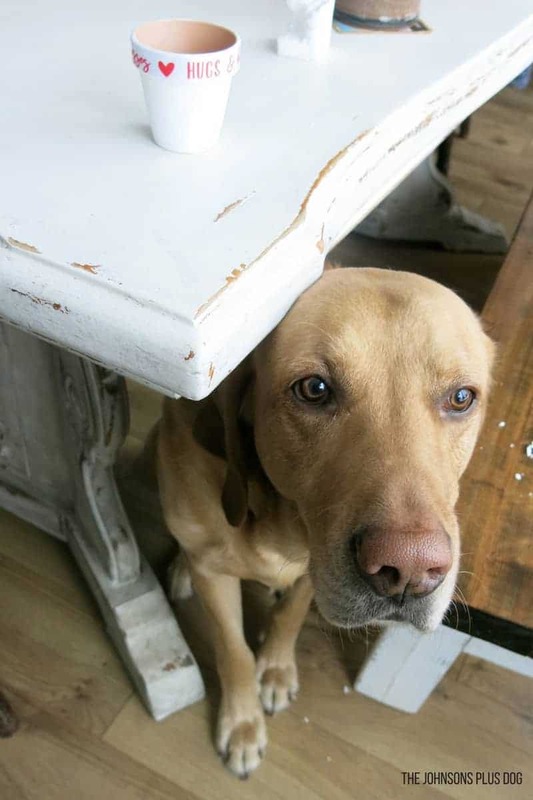 Alternatively here, you could use paper or crinkle paper shreds. 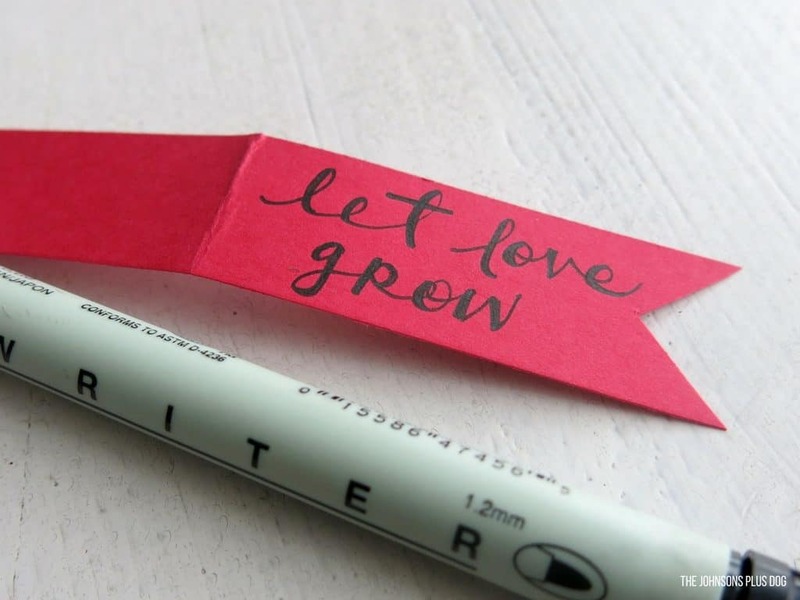 I just cut out strip of paper into flag shape and did some hand lettering of “let love grow”. Quick tip for hand letter calligraphy, you want to make every down stroke thick. Step 7. Glue flag to pick. I just wrapped the flag around one of the picks and secured with some 3-in-1 glue. 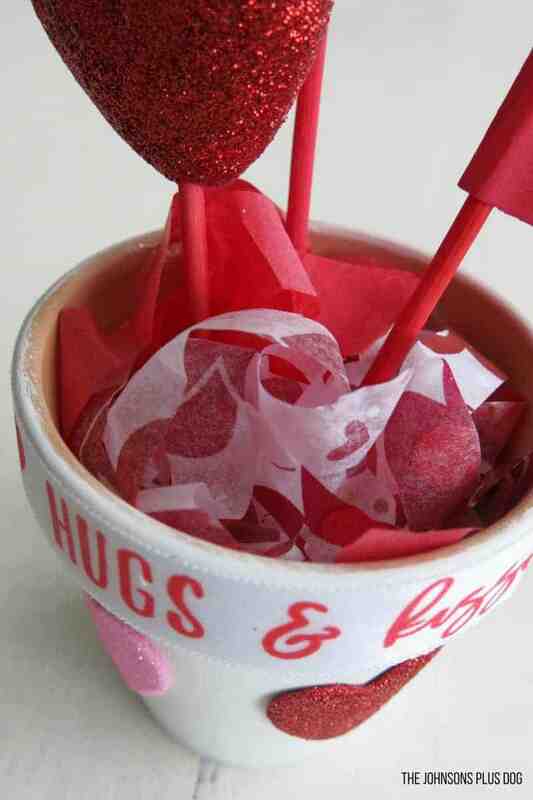 Step back and take a look at your cute little Valentine’s Day Dollar Store craft! 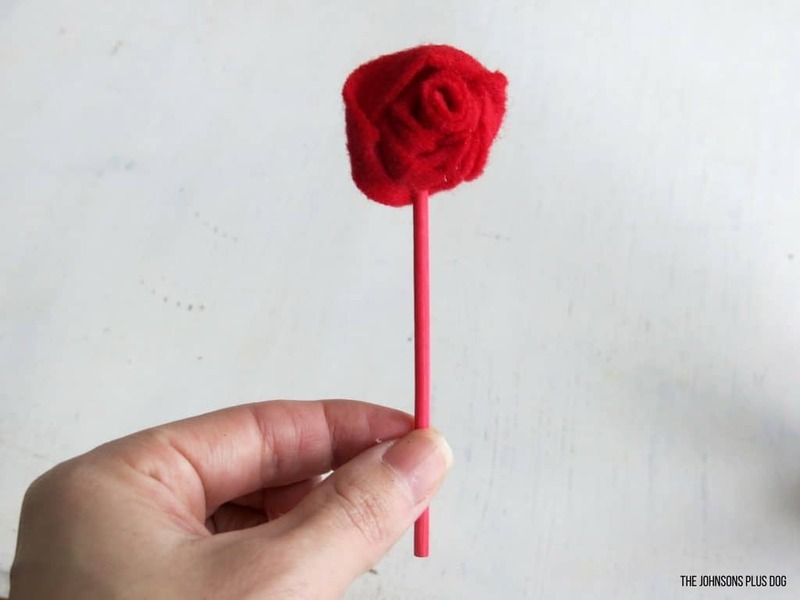 Did you enjoy this little Valentine’s Day Dollar Store craft? 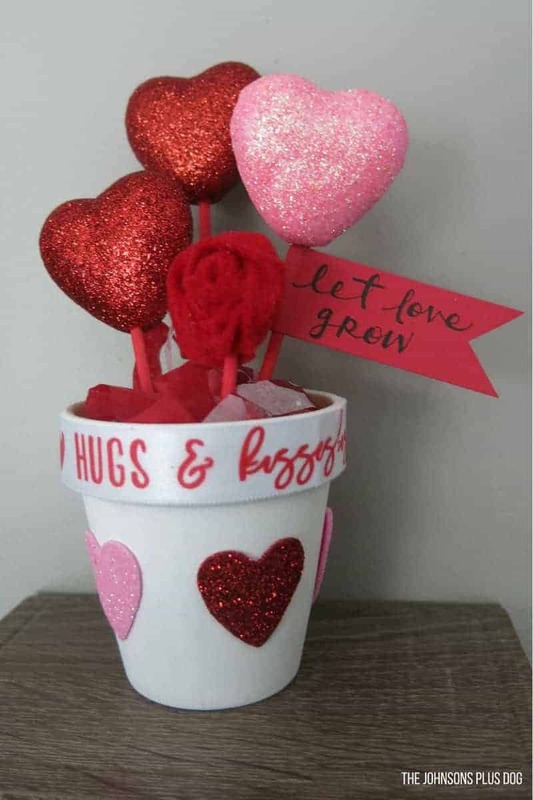 This adorable little decorated pot with blooming hearts is a perfect Valentine’s Day gift for a teacher, babysitter or coach! 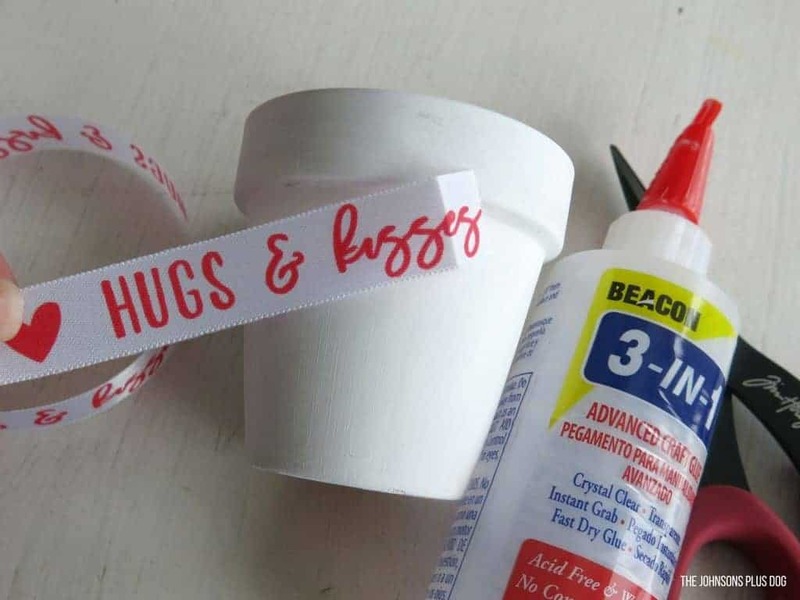 Your little one will definitely be able to help with this simple craft. 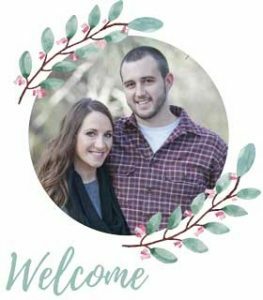 Grab all of your supplies from The Dollar Tree and this gift will definitely be budget friendly! Valentines day is one of my favorite days in the year, I’m always on the lookout for easy diy gift ideas food or otherwise. I love how cute and easy this looks would definitely look to recreate it. Thanks for your comment Jacqueline. This one was so simple! 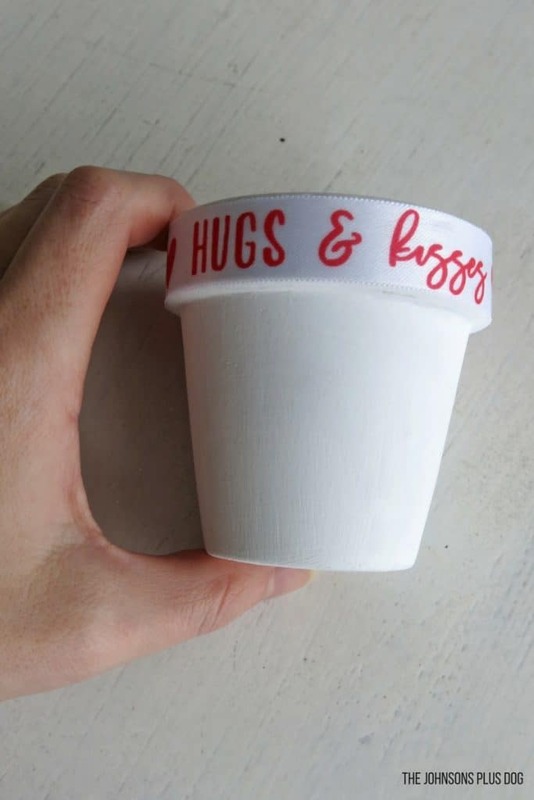 Super cute Valentine’s gift for teachers! Love that you used Dollar Store supplies too.